The Fitzroy-ACU Women face St Kevin’s Saints tomorrow in the second semi-final of the VAFA Wilson’s Women Premier competition with the tantalising prospect of landing the first grand final berth if they can knock of the minor premier. 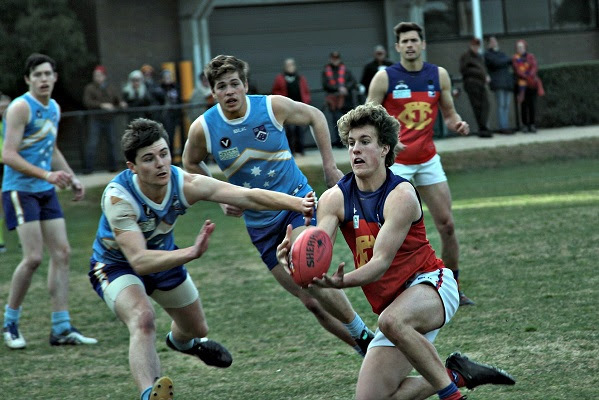 Fitzroy will take some good winning form into the semi, with tough hard games against Caulfield and Old Xavierians as the perfect finals’ preparation, but they come up against a team that has been completely dominating on the scoreboard in recent weeks and has only dropped one game for the season. SKOBS’ form might be awesome, but the Roy Girls will know they are the last (and only) team to beat them in 2017 and also defeated them in last year’s VWLF finals. Under no illusions about the challenge ahead, Coach Mick Symons, who returned from overseas in time to coach last week’s game, says he backs his team to get the job done in the finals. Don the colours and get out to support the Roy Girls in their first VAFA finals series: the game is at 2pm on Saturday 5 August at Basil St Reserve in East Malvern. 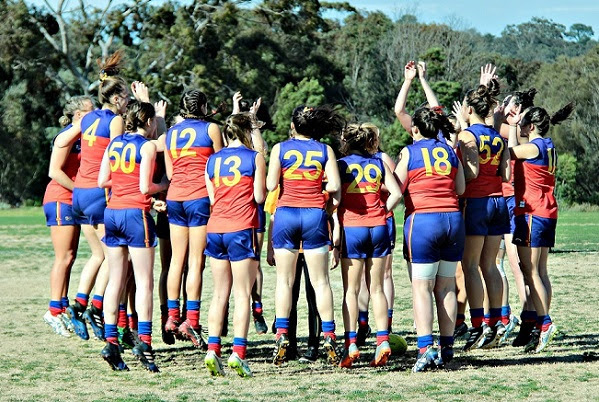 The Fitzroy-ACU Women 2 team finished up their season last Saturday at Ramsden Street and after holding South Melbourne well for the first three quarters, could not stop the goals in the windy conditions. It’s been a season of challenges for W2 but they have shown great grit and determination and their team spirit could not be questioned. It was fantastic to see them cheered off the ground with a guard of honour by the W1 team. Determined to bounce back from a mini form slump, the Fitzroy Thirds will take advantage of the senior grades’ bye to take on Ajax at Brunswick Street Oval on Sunday morning. It’s not often the Thirds lads get the opportunity at BSO and they are looking forward to it. 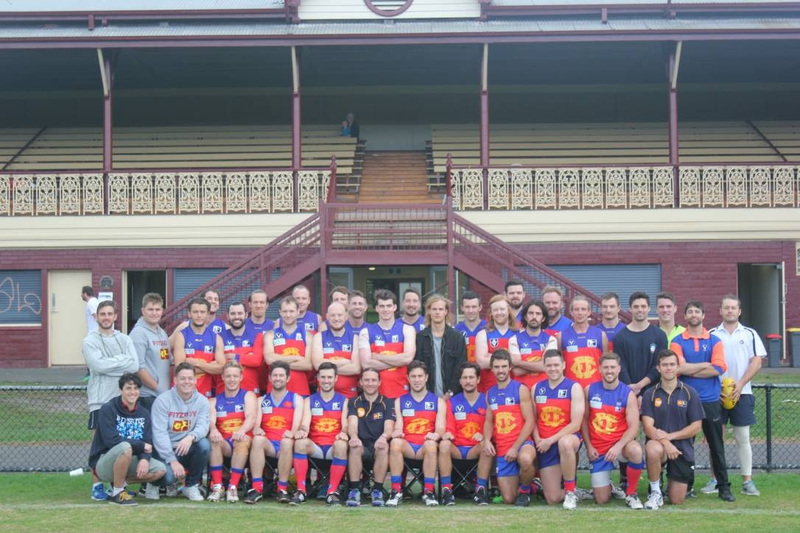 A big thanks to the Fitzroy Junior Football Club who had early morning gap in their game schedule, which enables us to host the game against Ajax. After last week’s loss to Monash Blues, Fitzroy is now holding only a one game advantage over the Blues and sitting in fourth on the ladder. One thing in the Roy Boys’ favour is a handy percentage. Ajax is sitting comfortably in third position, whilst Monash will continue to push to unseat Fitzroy with a game against Old Carey Grammarians, who have only managed one victory for the season. The pressure is on! At the same time, it’s a great chance to cement fourth spot. Coach Trent Coleman has thrown down the challenge to his players saying “We are well overdue for a win over AJAX and in the run home to the finals we need to back on the winners’ list. In the horrid conditions that afflicted all games last Saturday, Fitzroy had the same number of scoring shots as Monash Blues, but the home side managed two extra goals in a low scoring affair; 5.6.36 to 3.8.26. Despite holding a 10-point advantage at half time, Fitzroy could not hold Monash Blues in a damaging third quarter and that proved the difference. Our Under 19s teams are the only other sides to be playing this weekend, with the Under 19 (1) team at Ramsden Street and Under 19 (2) away to Peninsula. The bye could not have come at a better time for the Fitzroy Senior side, which is now second last on the ladder and at serious risk of relegation to Premier C after the loss to Monash Blues last weekend. A young and injury-depleted Senior side worked tirelessly in the second half to try and peg back the more than 5 goal advantage to Monash, but with limited reward. It was good use of the wind in the first quarter and against it in the second by Monash, that did all the damage. At no stage was Fitzroy able to put scoreboard pressure on and were in fact lucky that the home team didn’t kick straight. 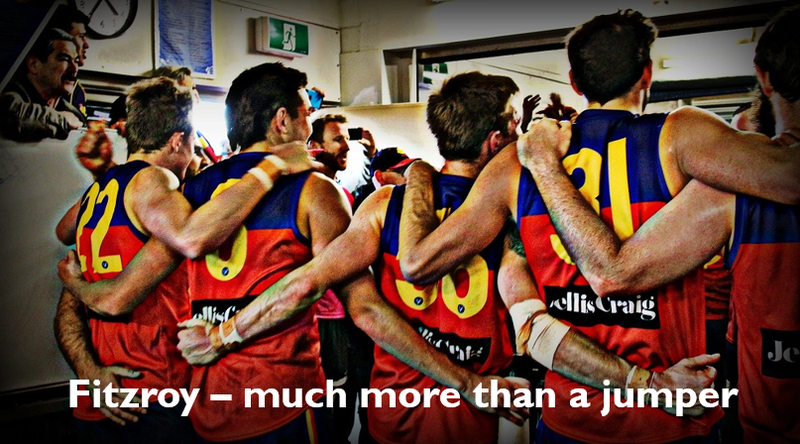 The final score was 7.17.59 to 3.6.24. Already missing Mark Obushak, Ross Borland and Luke Baker down back, the Roys’ backline was further depleted when Peter Baccanello was injured in the first quarter. Julian Turner (best for Fitzroy) and Max Ellis did a power of work but they were up against it all day. In a side without injured captain Rory Angiolella, reigning B&F winner Aidan Lambert, Aiden Burke, Mitch Bottomley, Nathan Jameau and late withdrawal, Will Fenton, the task was given to the young team to take on the challenge. Jacob Long, Sam Baker, Cailean Moore and Bill Clayton were among the best in a very spirited second half. The final quarter move of getting Nino Lazzaro onto the ball and throwing Ted Clayton forward showed some real spark and promise and will be something to consider in future games. With the week off, Fitzroy will reset and hopefully regain a couple of injured players before an all important home game against Old Carey. The Reserves are now well out of finals contention after also going down to Monash Blues. They sit in seventh spot on the Premier B Reserve ladder and need to maintain their one game buffer over Parkdale and Ajax, who are chasing. It’s time to reset and leave nothing in the tank in the quest to remain in Premier B with four rounds remaining. 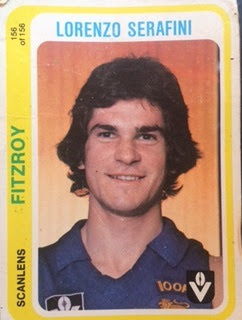 Laurie, who played 146 games for Fitzroy FC, was club vice-captain from 1981-1983, represented the Big V on three occasions, and served on the Brisbane Lions’ board for 14 years, is a regular visitor at BSO and loves to tell a story or two about his time in footy and beyond. Laurie is also an Ambassador for the EJ Whitten Foundation, raising awareness of men’s health issues. Part of the funds raised at the lunch will be donated to the Foundation. Book now for lunch on the 12th. Bookings close Thursday 10 August. It was a furiously competitive bowls day on Sunday as team Gaitor and Co took out the Inaugural Bowling Lions trophy. 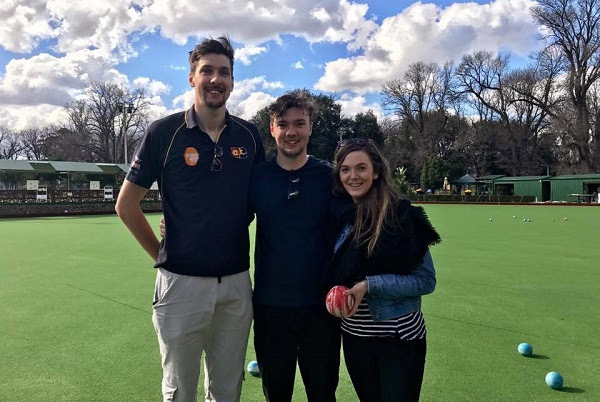 11 Fitzroy teams took to the greens for lessons and a competition, with sponsor, FVBSC, taking the opportunity to launch a specially priced social bowling membership for Fitzroy Football Club members. Make a $15 annual saving on the membership price, down from $80 to $65 and also have access to free bowls for 12 months, another big saving. No to mention member discounts on food and drink and a lower price for your mates. For more details, follow the link to the application form and get it back to the bowling club by sending it to manager@fvbowls.com.au or 578 Brunswick St, Fitzroy North VIC 3068. This Sunday night, turn your dials to the NorthWest Amateur Footy Report on 98.9FM. Fitzroy-ACU Women’s coach Mick Symons, along with Big V Rep and Women 1 ruckwoman, Tash Ross-Harris (Rosso), will hit the airwaves with Director Sharon Torney, to be part of a women in football panel discussion with host Glenn "Scatters" Scarborough. The whole show (from 6pm) has been turned over to a Women’s Footy Forum featuring several of the VAFA clubs. 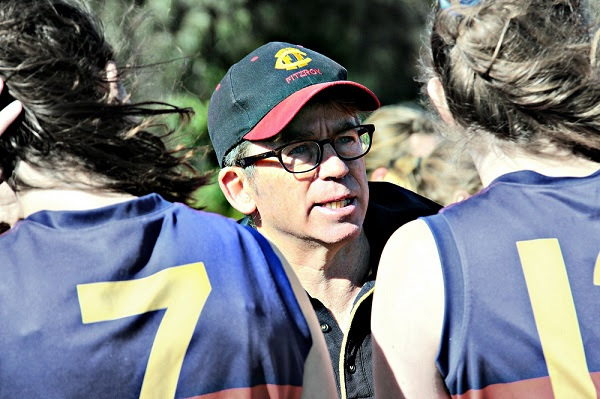 Fitzroy Senior Coach, Nick Mitchell, is a regular on the program and you should tune in on a Sunday night to hear the inside news from the VAFA. If you are yet to purchase tickets in our major raffle and fundraiser for the year, time is running out. Speak to one of the players or Directors for a ticket, grab one at the Fitzroy merchandise table at Brunswick Street during senior games, at the pre-game lunches or purchase them online. The major prizes of a $3000 holiday voucher, tickets to the full AFL finals series or $500 worth of petrol are up for grabs and will be drawn in the community rooms at Brunswick Street after the game on 12 August. If you are a player or supporter selling raffle tickets, please ensure you return all ticket books to the club by August 5. We need them back asap – sold or unsold. This Wednesday night, business and community supporters of the Fitzroy Football Club will gather for the first Fitzroy Business and Community Supporter Night at The Royal Derby Hotel. Sponsors, donors, business members and community partners have been invited to be the first to hear what’s happening on and off the field and mingle with the other Club supporters making a community impact through footy. The night runs from 6 – 7.30pm on Wednesday 9 August at the Royal Derby on Brunswick Street. For more information or to RSVP, please contact Kevin Sharp at kfsharp@virtual.net.au or on 0403 750 101.